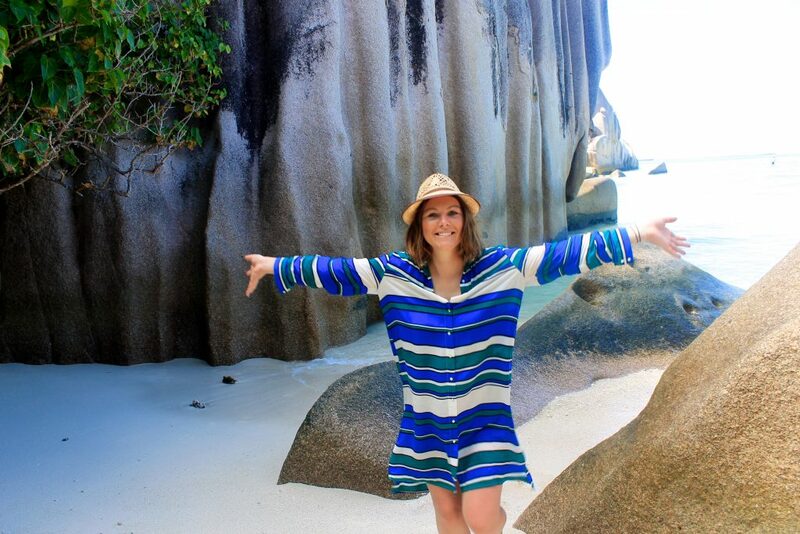 I never thought I’d have the pleasure of saying I went on holidays to Seychelles – but I’m happy to report that the journey there is worth every minute and every cent. It’s complete and utter paradise and is laden with pristine beaches, white sand and beautiful mountain ranges in the background. 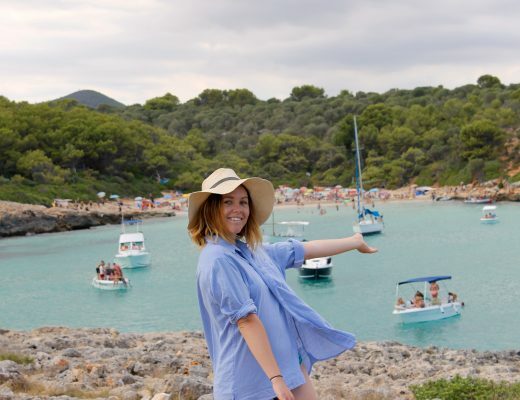 If you want to island hop, that’s also easy and a good chance to see some variation in scenery. 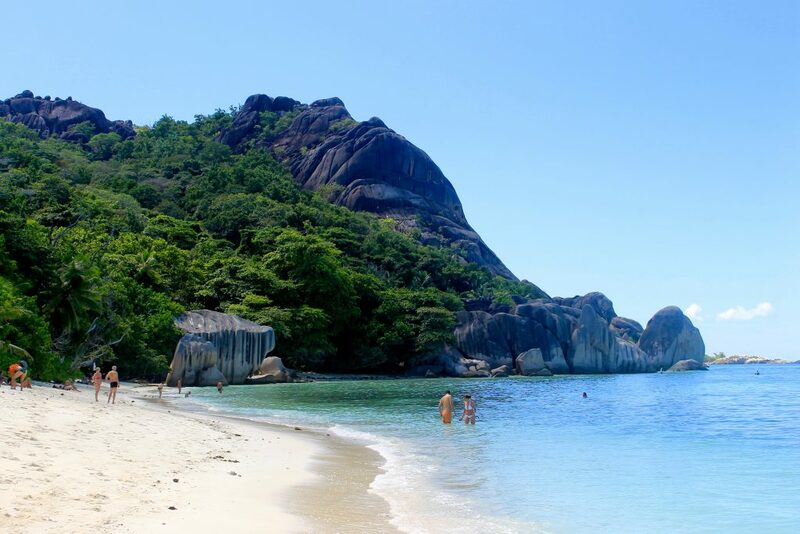 Some islands, such as La Digue, are super small and not heavily populated. 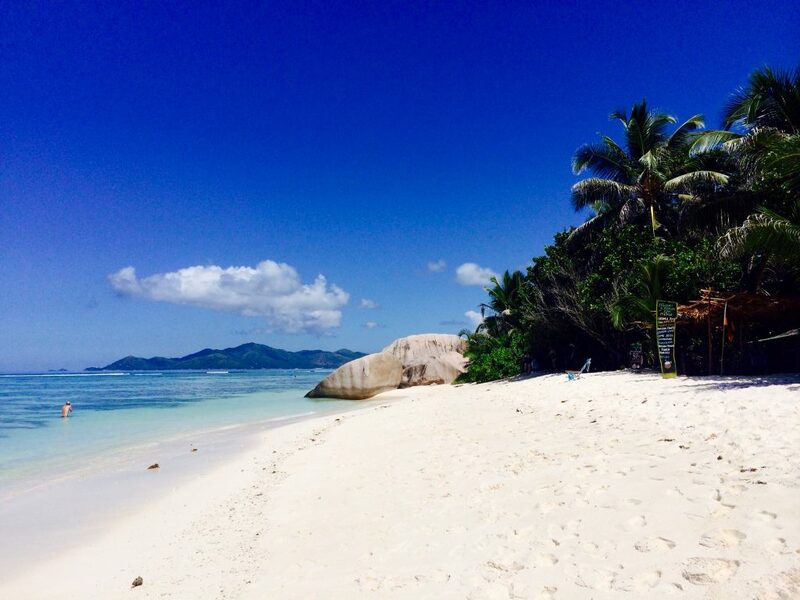 This is where your boat from Mahe will pull in to the island of La Digue. Paradise awaits! Do you see what I mean about this country looking a little ‘prehistoric’? Don’t you just think a stegosaurus could be roaming here? 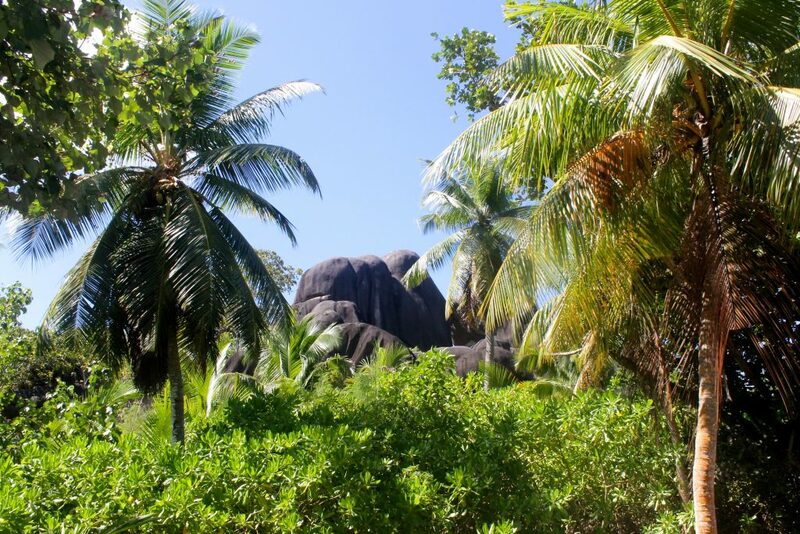 The island of La Digue is famous for its ancient land tortoises. They commonly live around 150 years old. 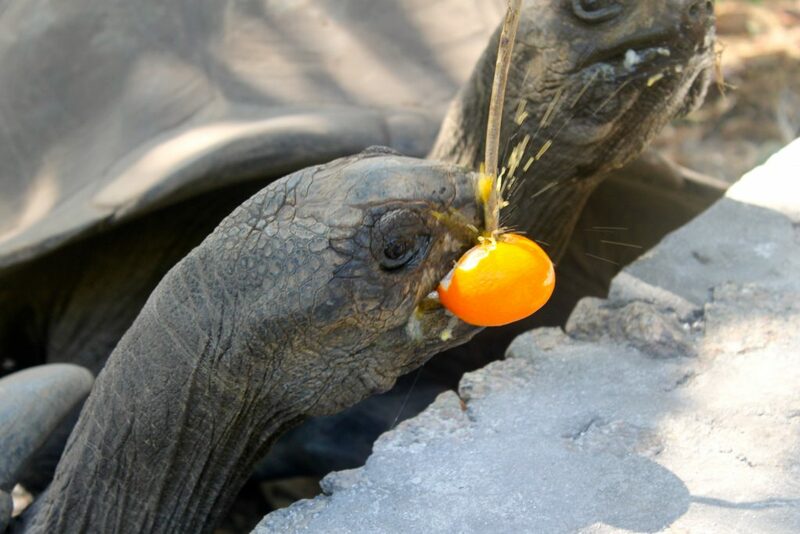 Some Aldabra tortoises have been known to surpass age 200! 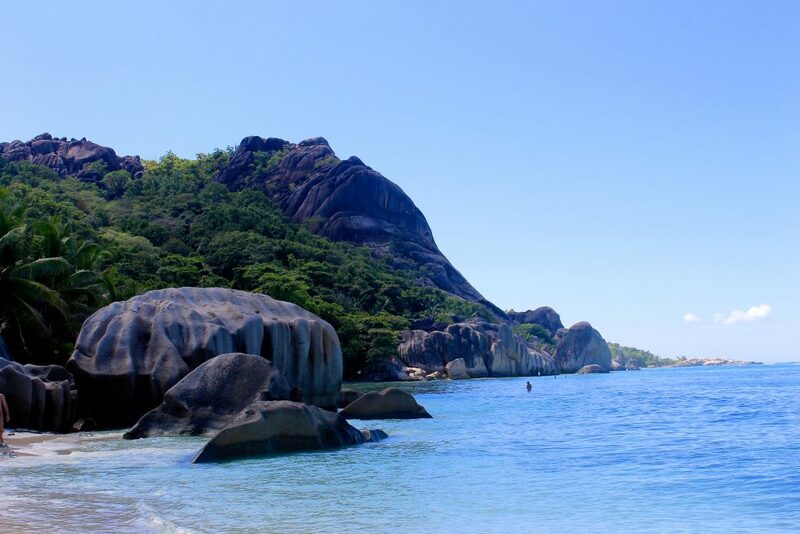 The island of La Digue is a fascinating place. (Wiki page click here.) With a population of only 2000 people, apparently, everyone knows everyone. For that reason, it makes for a fantastic day trip. 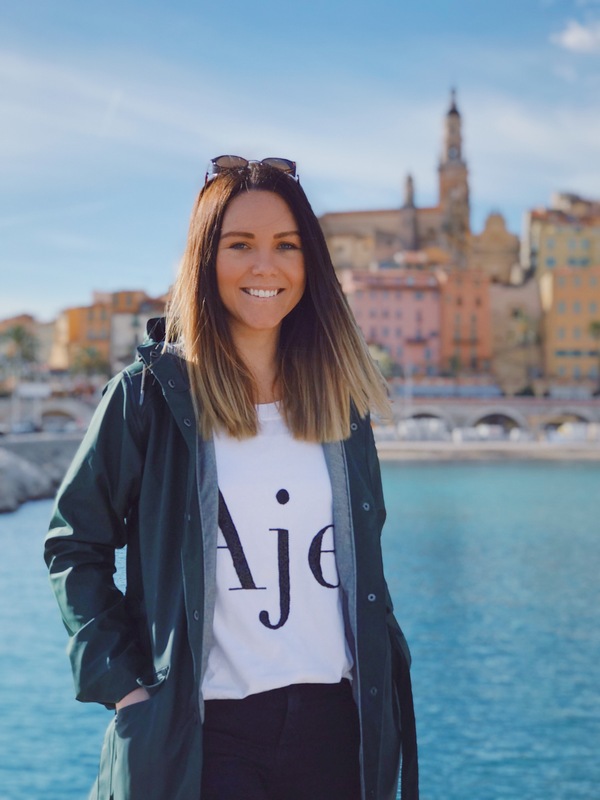 We were based at the Hilton Northolme on the main island of Mahe and they were ever so kind and arranged an EPIC day trip for us of beautiful (albeit long) proportions. Picture postcard perfect. My favourite kind of scene. 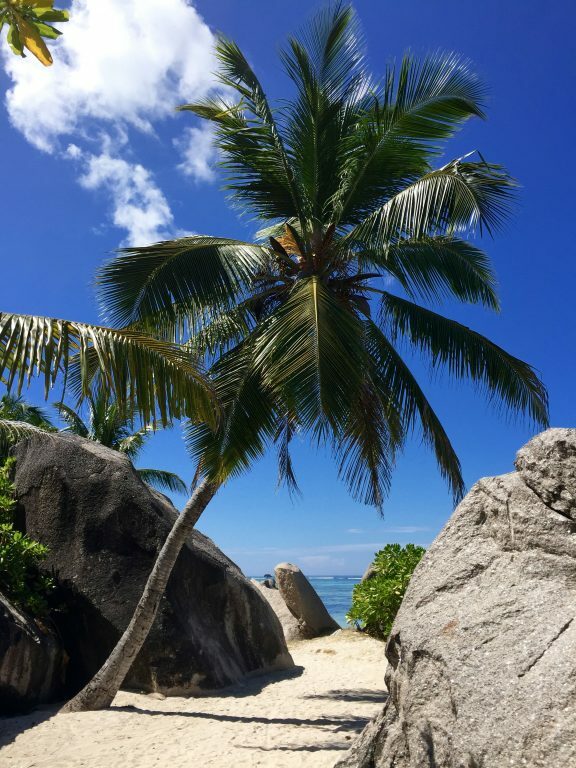 La Digue, an island of striking beauty where tall coconut palms and gigantic boulders cradle glorious white sandy beaches. 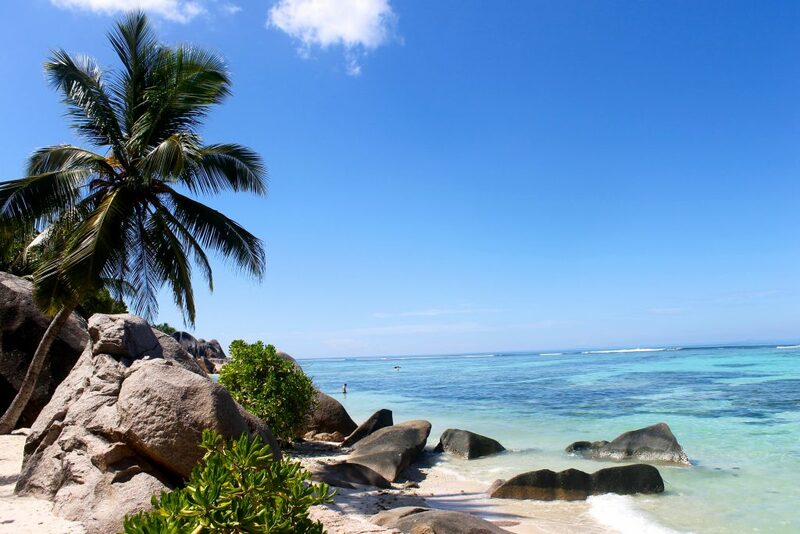 La Digue also offers a real insight into the life of the Seychellois people. 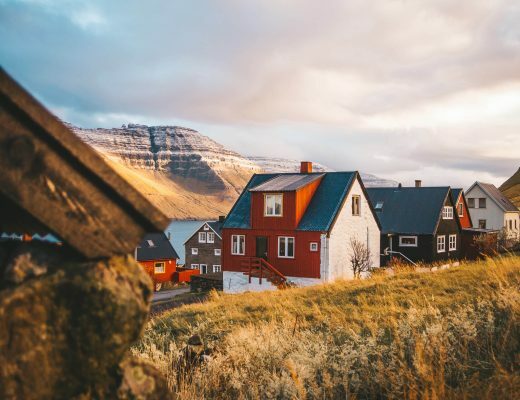 After disembarkation at the jetty you will be greeted with a warm welcome typical of the island people unspoiled by the pressures of the modern world. To book with 7 Degrees South tour company, click here. Approaching the ever-famous Anse Source d’Argent Beach. 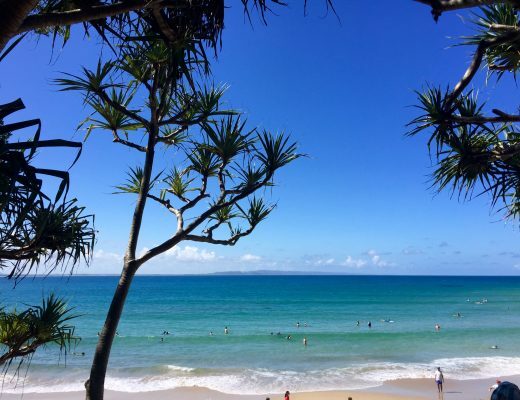 This beach regularly tops ‘the world’s best beaches’ lists. 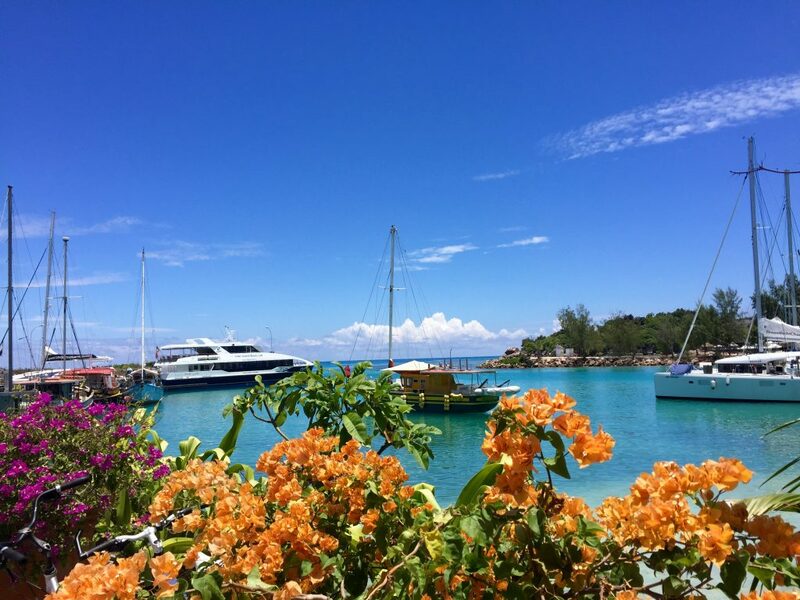 We went with 7 Degrees South: a company mentioned above and everything was organised from the bus pickup and transfer to the boat, lunch, all the sights on La Digue and the other spectacular island of Praslin. I’d highly recommend using that company for a good day trip to the surrounding islands in Seychelles. 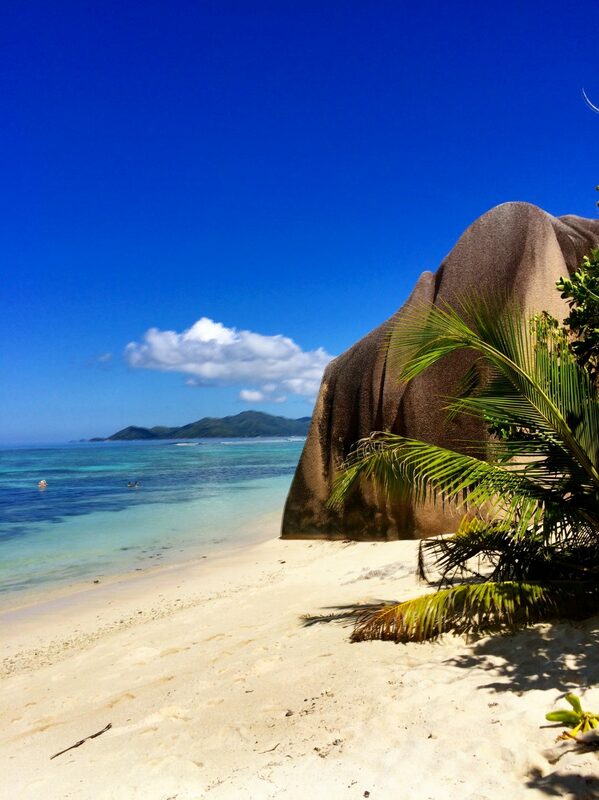 La Digue at its finest. Look at that stunning display of nature. 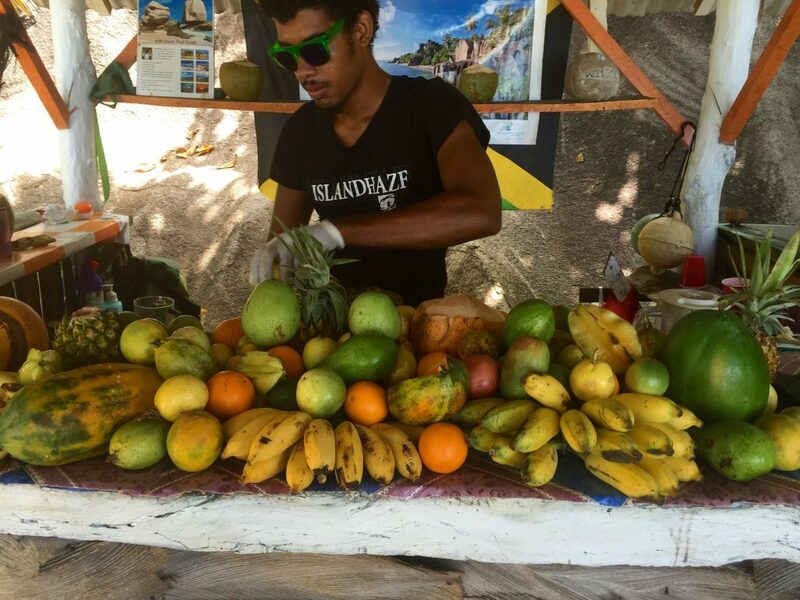 A local vendor selling his fresh fruit smoothies and juices. Nice place for an el dippo. Looking a little paradise-esque here. 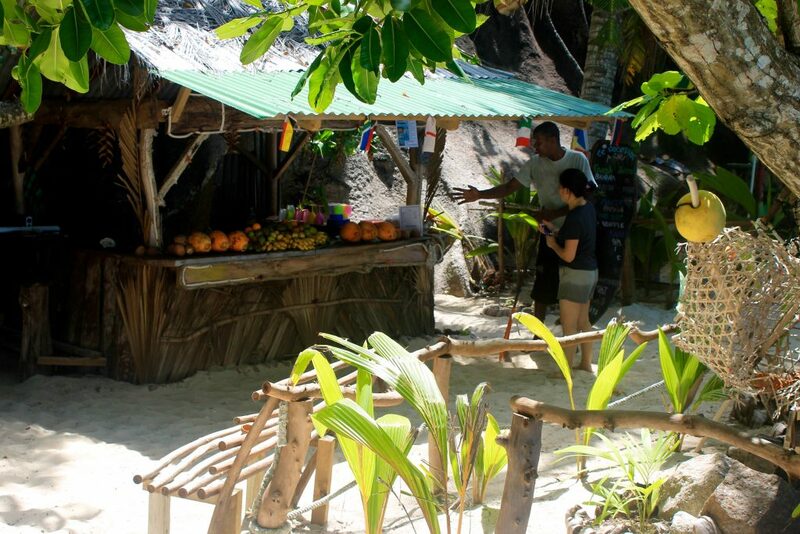 La Digue is a small island and never has too many tourists so you’ll often have a chance to get some peace and quiet. 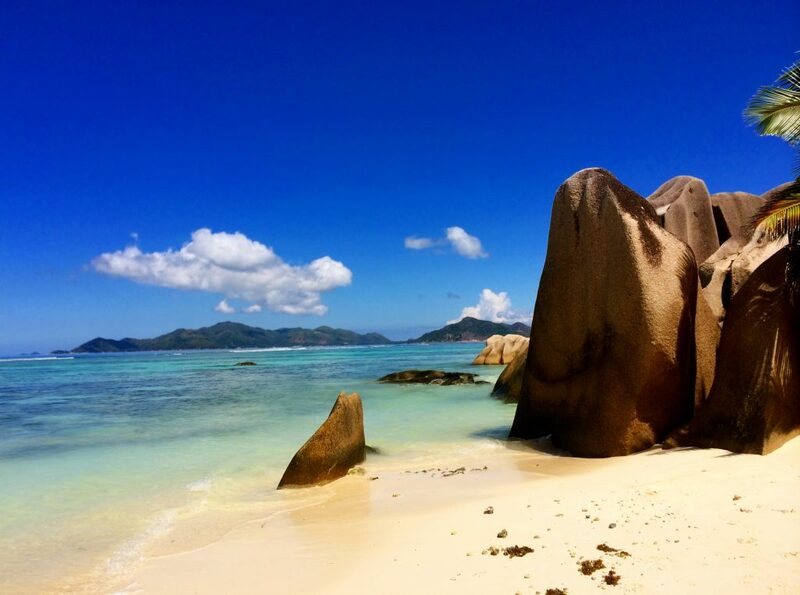 White sand, giant boulders and warm water. Yes, please! This guy was a winner! He made me a delicious smoothie and cracked me open a new coconut. He said his biggest dream is to get to London. I couldn’t understand why but he told me he hadn’t left Seychelles before. To me, it was utter paradise. Okay, I lied before. 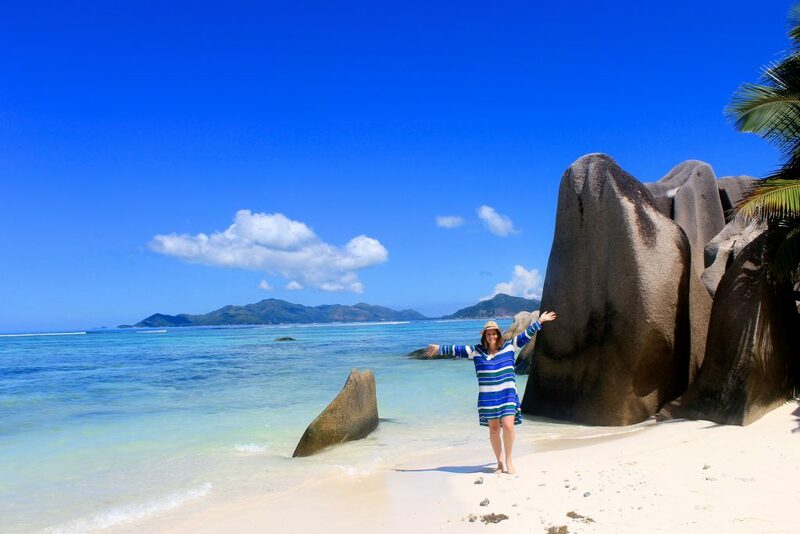 This is my favourite snapshot from La Digue!